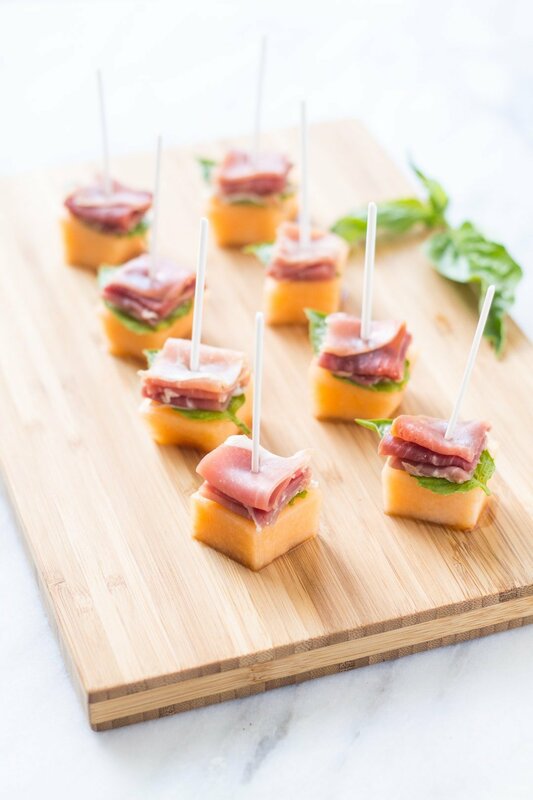 With just a handful of ingredients, these Low FODMAP Prosciutto Melon Bites are a super simple appetizer – perfect for a party of any size! Who loves simple appetizers?! I know this girl does. 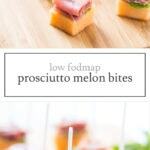 🙂 These Low FODMAP Prosciutto Melon Bites look and sound kind of fancy-schmancy, but they couldn’t be easier to make. And, I love that you can make as few or as many as you need! 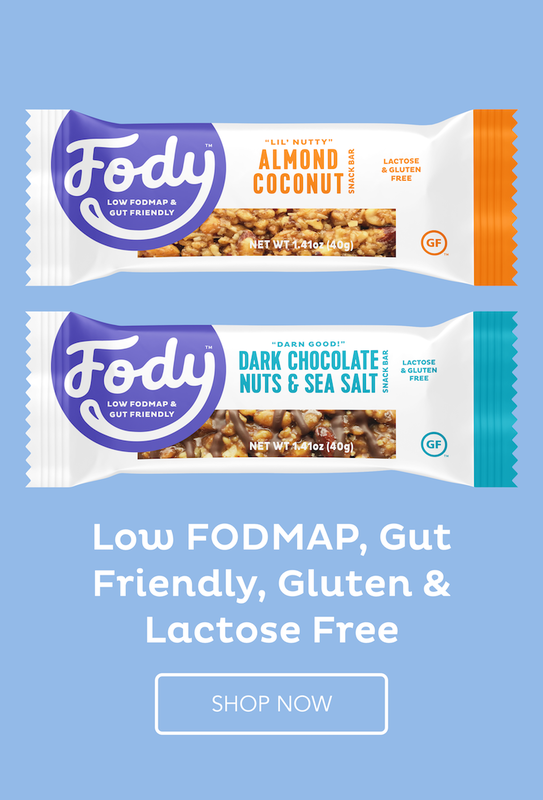 Cantaloupe does contain FODMAPs (fructans) in larger quantities; so if you’re currently in the experimentation (aka elimination) phase stick to 1/2 cup servings. 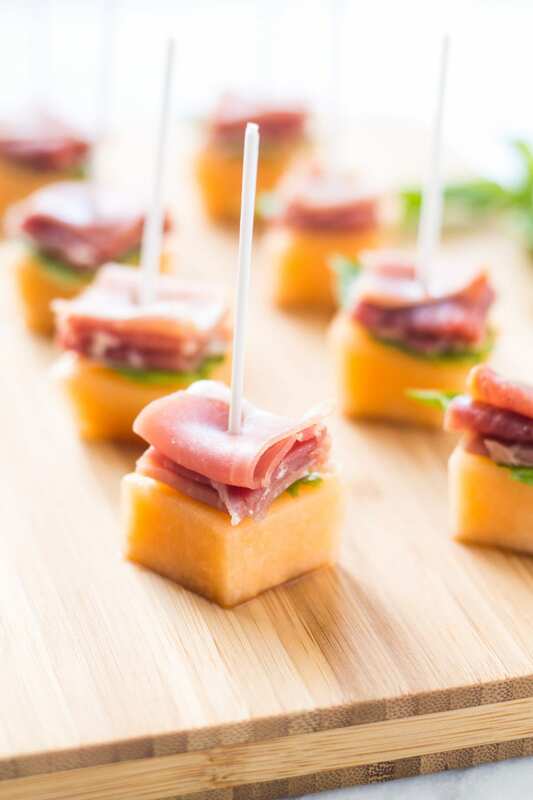 Thread cantaloupe, prosciutto (like an accordion) and (optional) basil or mint leaves onto an appetizer skewer or toothpick. Repeat. Drizzle with (optional) balsamic vinegar and serve. Balsamic vinegar: A low FODMAP serve is 1 Tbsp.